When you’re building a home, work with a company that can walk you through each step of the process. 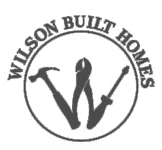 Wilson Built Homes, LLC offers new construction services in the Tuscola, TX area. You’ll meet with us through various stages so you can stay updated on the progress. Work with one of the Tuscola, TX area’s best home builders by contacting Wilson Built Homes today. When you're building a home, you don't just need to worry about the finished product. We make sure the little things are taken care of, including paint colors, tile choices and cabinet placement. Get customized new construction services by calling Wilson Built Homes today.